We held a baby shower at work for one of our co-workers and I thought it was as good an opportunity as any to experiment using the Biscoff spread in a cookie recipe. The end result were these Biscoff Butterscotch Chip Cookies. Between the butterscotch pudding mix and butterscotch chips, the Biscoff flavor did not come out as strong as I would have thought. However, it did lend a really nice spice to the cookie. I rolled the dough in turbinado sugar so the end product was super moist with a slight crisp to the outside. 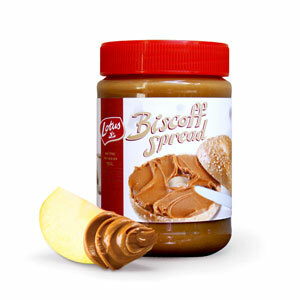 I’ve got a few ideas bubbling for a few other recipes using Biscoff spread that will make the ingredient more of the star rather than a supporting player – so stay tuned! 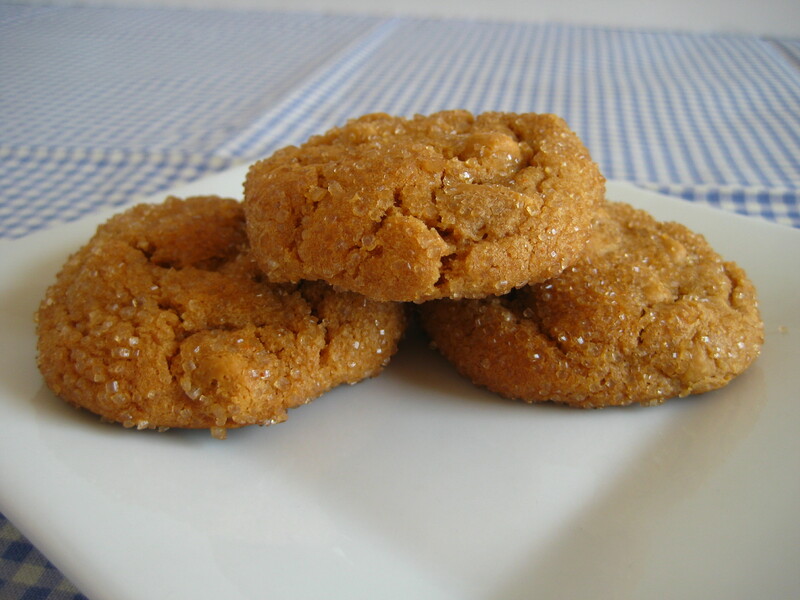 In the meantime, if you like butterscotch or are looking for a cookie perfect for these first cool fall days, this recipe should not to be missed. Bake up a batch of these beauties today! In a large bowl, cream together the butter, Biscoff spread and sugars. Beat in the instant pudding mix until blended. Stir in the eggs and vanilla. Stir in the butterscotch chips. Chill the dough for at least one hour. Using rounded spoonfuls, roll the dough into balls and then roll them in sugar. Place the dough balls onto ungreased cookie sheets (I like to use a silpat liner). Loved this recipe! I linked to it and can’t wait to try it!